Product prices and availability are accurate as of 2019-04-10 08:43:24 EDT and are subject to change. Any price and availability information displayed on http://www.amazon.com/ at the time of purchase will apply to the purchase of this product. 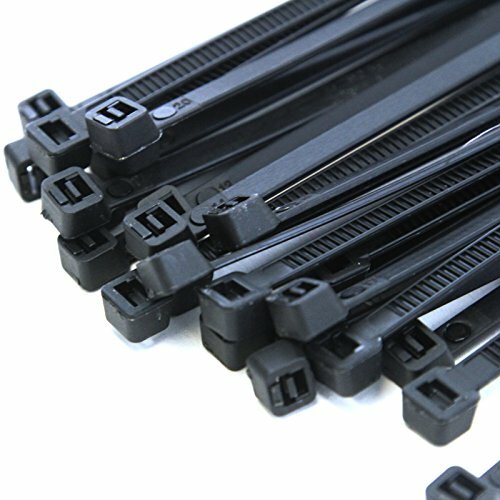 Premium Commercial Grade Nylon Cable Ties. 500 ties - 4.8 mm wide by 350 mm long - Black. These premium, commercial grade nylon cable ties have been lab tested for function and quality and can handle harsh weather conditions. Made from rust-resistant and corrosion-resistant, marine grade nylon plastic, these ties are strong and difficult to break. Heavy Duty marine grade nylon plastic can't be easily broken. Lab-tested for function and durability - can handle wet and salty conditions. Rust and corrosion resistant. Weather resistant: built to handle big weather temperature variations. One Year Guarantee against workmanship and defects. 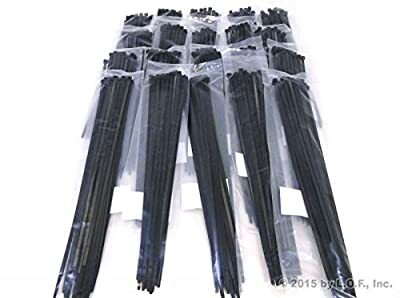 500 Cable Ties. 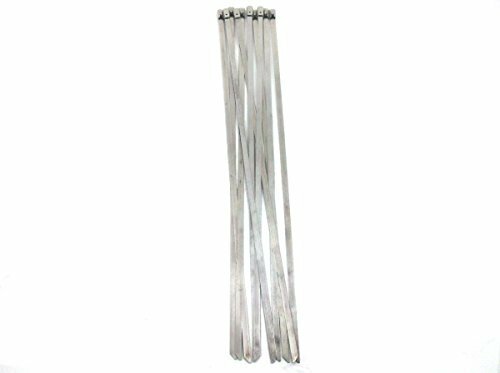 14" long, 50 pound tensile strength rating. Black. Heavy Duty nylon plastic can't be easily broken. Built to handle weather temperature variations.